You will find loads of water sports operators along the waterfront of Nipah and Coral beaches, offering snorkel trips, banana boat rides, jetski rentals and a range of other activities, as well as private boat hire. Some post prices and others do not, but if you’re the negotiating type take your charm to Beach Boy Water Sports or Coral Beach Water Sports, both located on quieter Coral Beach, and you might get the best prices. We were quoted 50-60 ringgit per person for a round-the-island group boat tour and 200-300 ringgit for private boat hire, both taking about three to four hours. Kayak rentals start at 20 ringgit per hour or 80 ringgit for the day and jet ski rentals are a costly 70-100 ringgit for 20 minutes, depending on engine stroke. 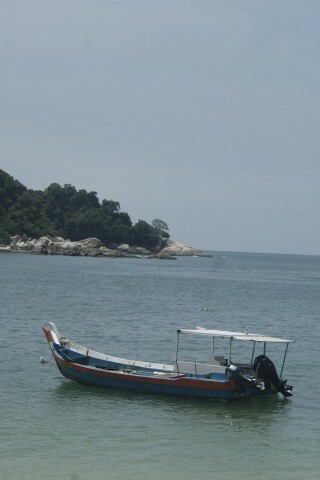 Snorkel trips run to Giam Island, a boat ride across Teluk Nipah. The waters are relatively clear and there are a few fish and colourful coral to look at, but that’s about it. The cost is 50-60 ringgit per person for a group trip. Snorkel equipment can be rented for 10 ringgit per hour if you prefer to give it a go a la carte.